As a 21 year veteran of Ingram Micro, Holly's responsibilities include leading a team to develop and execute of Ingram Micro's reseller communities and verticals, such as Trust X Alliance Community, SMB Alliance Community (SMBA) & SMB, and Vertical Advantage (Public Sector Fed and SLED). Holly also has overall responsibility for Agency Ingram Micro's Event Services team who plans and organizes the event logistics for over 1800+ events every year. Holly and team are also responsible for Ingram Micro's ONE Event (strategy and execution) which is Ingram Micro's large 2000 person multi-departmental event. During her time in Agency Ingram Micro, she has assisted in developing advisory councils for each of the communities; her communities team has executed over 50 events annually from 30-2000 people, and the overall strategy of direction of each of the communities and verticals. 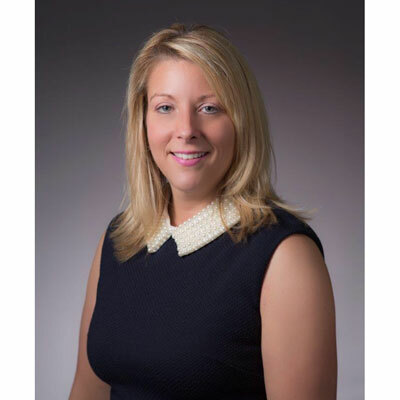 Holly initially joined Ingram Micro as part of the sales organization and moved to Marketing in 2001 where she has continued to move up in the organization to her role today. Holly has a Bachelor's of Business Administration in Marketing with a secondary concentration in International Business from St. Bonaventure University. She resides in Snyder, N.Y. with her husband Mark and step-son, Andrew. Ingram Micro's partner communities and Mastermind groups play an integral and ever-growing role in the ongoing success of our business. Trust X Alliance and SMB Alliance are highly influential on where we focus and where we invest for the future, and I am thrilled to serve as part of the leadership team. In 2017, our Ingram Micro ONE event became the largest multi-vendor, multi-partner event in the U.S. channel and unlike other industry events where attendance has been falling off, ONE's numbers are growing (over 2,000 attendees) and the ROI is getting stronger and stronger year over year (a net promoter score of 9.8). Another area of growth has been within the membership directly. Ingram Micro's community members are continuing to outpace our average partner growth rates and our annual revenues from the Trust X Alliance Global Community, which represents over $2 Billion of Ingram Micro's global sales and growing 8% YOY. Our SMB Alliance community is also scaling its success, growing the number of unique members and experiencing revenue growth of 8% year over year. Advocacy marketing is a big initiative for Ingram. We are working faster and smarter to find new and better ways to help community members; Trust X Alliance and SMB Alliance, to achieve exponential and sustainable growth. Another continued investment is our events; TXA Invitational, Chapter Meetings, SMBA Unplugged, Talking Shops; and the ONE Event that attracts over 2,000 attendees. Our team is focused on featuring the right content, current trends and what lies ahead. At ONE, we continue the irreplaceable value-add of our hands-on approach to "scenario selling," blending the vertical market, technology and service opportunity in a live setting. In 2017, I received the annual "Leadership and Mentorship" award from Ingram Micro's Women Forum. This award recognized my efforts around mentoring others and taking on strategic projects including our Women's Forum and our Associate Pillar initiative. It was an honor to receive it. Elizabeth Cady Stanton. She started the women's suffrage moment in my hometown of Seneca Falls, NY. Throughout history, there have been so many amazing women trailblazers. She fought against a male-dominated world for women's right to vote. She, and so many others, worked to build a circle of influence across men and women that would drive change. It's amazing it's been less than 100 years since women received the right to vote. Elizabeth's efforts inspire me to do what others might say cannot be done and take an inclusive effort to driving change for the betterment of humankind. Ask more questions. Seek more answers. Look to others for insights and perspectives. You don't have to learn everything the hard way. There's so much to be learned and gained by working together. Why did I think I had to do it all myself and pretend I knew all the answers? Today I wouldn't be successful without healthy discussions and collaboration. I'd like to learn more about how to leverage business intelligence in my day-to-day role. BI is having a big impact on business in general and our ability to deliver an exceptional experience and predict buying behaviors and preferences. Ingram Micro was the first among its peers to use BI to bring more value to our associates and our partners. I am excited to see us build on these capabilities. Right now, I surround myself with very smart people. When Breath Becomes Air. It was an unexpected book, a memoire, that found hope and beauty in a situation of incredible odds. It wasn't something I could relate to directly, yet you could definitely identify with the call to action to find the good even when it doesn't appear to exist in the environment or circumstances facing. It was an amazing book that really helps keep the important things in life in perspective.